We post a lot of information about ourselves across various social media platforms, including Facebook, Twitter, Instagram, amongst others. As a result, many people who use social media share far too many personal details. But they have to be careful because cybercriminals use this sensitive information to create fraudulent identities, and individuals end up compromised. Generally, remember, the fewer details you share online, the safer your information will be. Below are steps to help protect your sensitive information on Facebook and Twitter, two of the most popular social media sites. 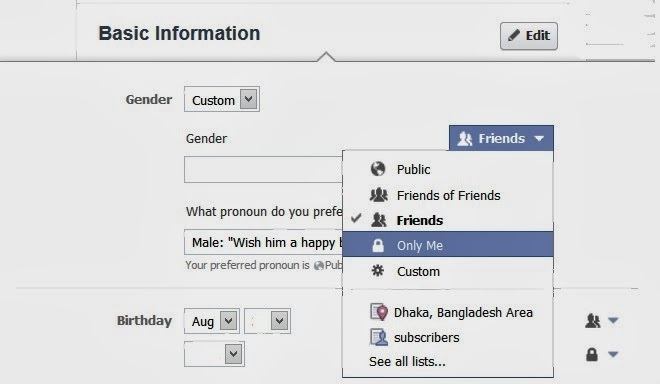 Facebook has different privacy settings for many aspects of a user’s social profile, which must be adjusted individually. If you want to keep your information private, don’t use any of the “Public” settings. Also, before posting a status, see who your potential audience will be. You can adjust this setting in two places. The first is under “Privacy Settings and Tools.” Click the downward-pointing arrow in the top right corner. Choose “Settings,” then find “Privacy” on the left. Choose a privacy level for your posts. Click in the “Update Status” field (“What’s on your mind?”). Then use the drop-down menu to the left of the “post” button. Choose a privacy level for your posts. Remember, these settings apply to all posts unless you change them again. 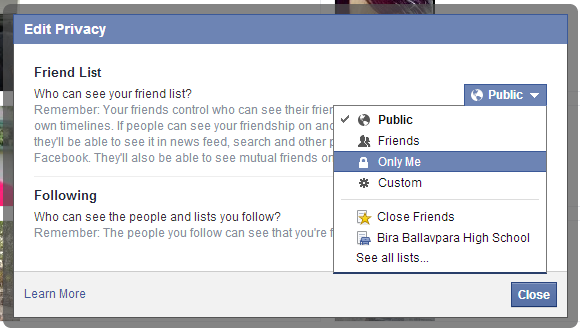 For the most privacy, select “Friends” so only your friends see your posts. “Who can see my stuff?” Select “Friends.” Also review your Activity Log and audience for past posts, to make sure they’re secure. “Who can contact me?” Choose “Friends” or “Friends of Friends” for people who can contact you. The last option in this panel is “Do you want other search engines to link to your timeline?” Select “No.” It might take some time for search engine results to stop showing the link to your timeline. Edit the personal information in your profile and consider sharing only the bare minimum in order to limit what cybercriminals can use to compromise your bank accounts or identity. Consider examining which third-party applications have access to your Facebook profile. To view which apps you have previously approved, access the “Privacy Settings and Tools” panel you found above, and select “Apps” from the left-side bar navigation. Enable the feature that allows you to review posts before they are published to your Timeline. It is important to note that these updates from friends still appear in News Feed and search. Twitter is the second largest social networking site in the U.S. and allows users to share 140-character updates, called “tweets,” with their friends and followers. Tweets can also include links and photos. Twitter’s default settings set your account to public, meaning your tweets and information can be viewed by anyone, even by non-Twitter users. There are some simple settings that can allow you to make your Twitter account private. Only Twitter users you approve can subscribe and see your tweets. Any tweets previously made public will be hidden, and can only approved followers can see or search them. Your tweets will also no longer appear in Google searches or be “re-tweetable,” (which means they can be sent on to another user). Only approved followers will see any @replies you send. To make your Twitter account private, click the wheel icon in the top right of your Twitter homepage and select “Settings” from the drop-down menu, then select “Security and Privacy” from the side-bar menu.